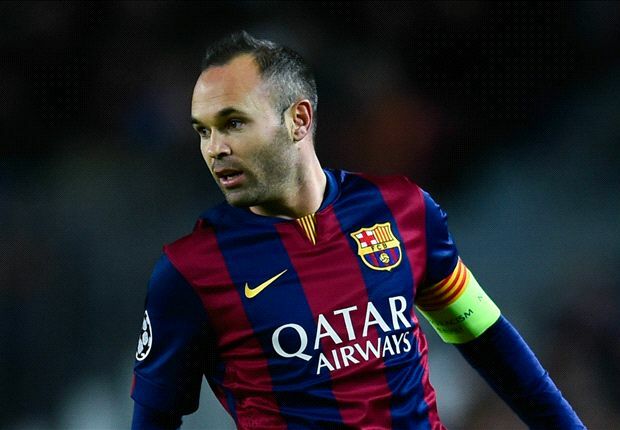 Spaniard central midfielder Andrés Iniesta has had a spectacular career for both club and country. Playing his entire professional time with Spanish giants Barcelona and of course for Spain's national team, Iniesta has an impressive collection of awards. Having won 7 La Liga titles, a total of 9 domestic cups and 4 UEFA Champions League titles, the more impressive stats are actually in his personal award list. By receiving the Man of the Match award after Barcelona's victory in the Champions League final win over Juventus this past Saturday, Iniesta became the only footballer to be named Man of the Match in the final games of the FIFA World Cup, UEFA Champions League and the European Championships. Needless to say, the man is "clutch". Always showing up at 100% effort and contribution during big matches. His first of the three came in 2010 when he was named the best player during Spain's 1-0 victory over the Netherlands in the final game of the World Cup in South Africa. It was his 116th extra-time minute goal that separated the two teams, giving Spain their first world cup title. Two years later in Kyiv, Ukraine, it was Iniesta again who claimed the best player in the final of the 2012 Euros, helping his squad to a 4-0 thrashing of the Italians. And again yesterday, Iniesta picked up his 3rd Man of the Match award in a major competition's final game, this time a club award as Barcelona finished off Italian side Juventus in a 3-1 final in Berlin.